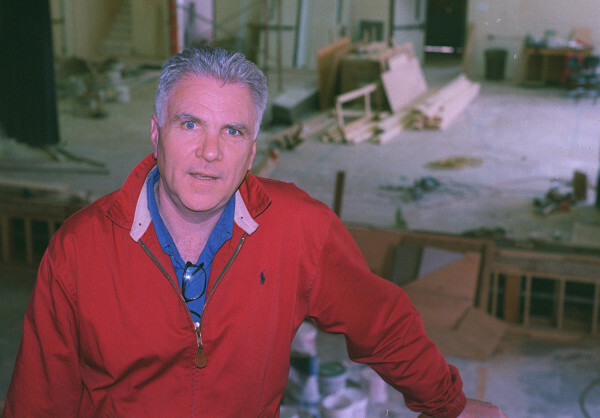 Rick Curry founded the National Theatre Workshop of the Handicapped in Belfast. The Crosby School in Belfast was once home to the National Theatre Workshop of the Handicapped. The man who founded the National Theatre Workshop of the Handicapped in New York City and gave it a summer home in Waldo County for more than a decade died Monday in Philadelphia of heart failure at the age of 72, according to the website Jesuit.org. The Rev. Rick Curry, who was a Jesuit brother in 1997 when the organization purchased the Crosby School in Belfast, was born without a right forearm, according to previously published reports. When he became a priest at the age of 66, he received a special dispensation from the Vatican because, under canon law, a priest must have two hands to celebrate Mass, according to the New York Times. The school fell on hard economic times and never recovered, Belfast City Councilor Mike Hurley said Tuesday. “Some people consider him to be a scam, but I never did,” Hurley said. “He had people come here, some of whom had multiple handicaps. They had a wonderful time in Belfast. I loved that. Being in a bar, seeing 15 handicapped people having a wonderful time was great. Curry’s more recent projects, the Wounded Warriors Writers Workshop and the Academy for Veterans grew out of the theater workshop, according to the student newspaper at Georgetown University in Washington, D.C. The programs help soldiers disabled in combat to rebuild their lives. The Crosby School is a three-story brick building, located in the heart of the city’s downtown. It was built in 1923 as the Crosby High School, with funds raised by individual and city contributions. 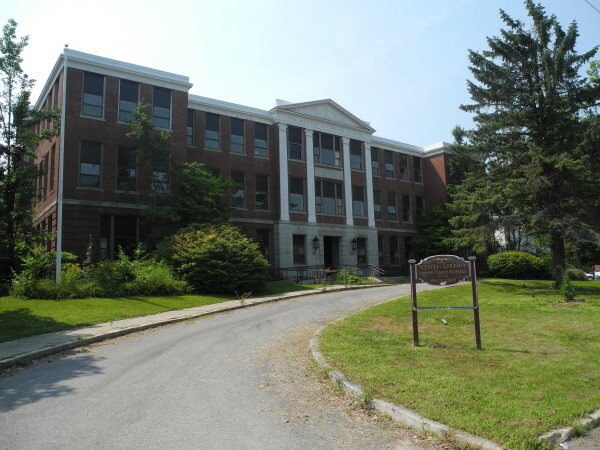 It was featured in the 1957 movie “Peyton Place,” and remained the high school for Belfast teenagers until 1965, when it became the junior high. In 1993, the junior high moved to a new middle school building across town, and the Crosby School was empty for three years, until city officials decided to sell it for $200,000 to the National Theatre Workshop of the Handicapped. Curry said the group invested about $3.5 million into the building to add theaters, lounges, apartments and an elevator. After it fell into disuse by the theater company, Belfast residents complained that the structure was not being maintained and was beginning to deteriorate. When the theater workshop defaulted on a $700 sewer bill, the city foreclosed on the school in 2010, with councilors voting to give it back the following year only after the workshop made a good-faith effort to repair and maintain the landmark structure. In August, the asking price was just under $1 million, according to a previously published report.